At Bitcoin Gambling Reviews we like to share the latest promotions and bonuses on offer across all Bitcoin Gambling sites! It has been brought to our attention that Bitcasino.io have recently changed their welcome bonuses on offer. The following post will provide a recap on Bitcasino.io as well as details on how to claim their current bonuses! Along with the plethora of casino games on offer Bitcasino.io also have great deposit bonus. At the time of writing they have three on offer. For new customers making their first deposit with Bitcasino.io you are entitled to a 100% matched deposit bonus up to 1Bitcoin! This means if you deposit 1 Bitcoin your account will be credited with an additional 1 Bitcoin to play with. You need to enable the bonus under “My Bonuses”. Minimum deposit amount is m฿ 1. To withdraw the bonus you must wager it 35 times. The bonus can only be wagered with slot games. Your bonus is valid for 30days. As an incentive for a second deposit Bitcasino.io will match 50% of your second deposit. If you make a deposit of m฿ 600 Bitcasino will credit your balance with m฿300 giving a total of m฿900 to play with. To withdraw the bonus you must wager it 30 times. A 25% reload bonus is available on deposits up to 5 times a day. This means if you deposit m฿ 500 you are entitled to an additional m฿ 125 giving you m฿ 625 to play with. This reload bonus can be claimed 5 times per day. Bitcasino.io are a very well trusted, reputable Bitcoin Casino that offer over 1,300 individual games. 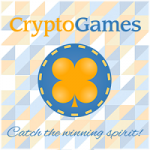 Established in 2014 they were the first licensed Bitcoin Casino and are a popular choice amongst many gamblers. Like most casinos their promotions are always changing, however, at the moment they are offering fantastic matched deposit bonuses and reload bonuses for all their players.